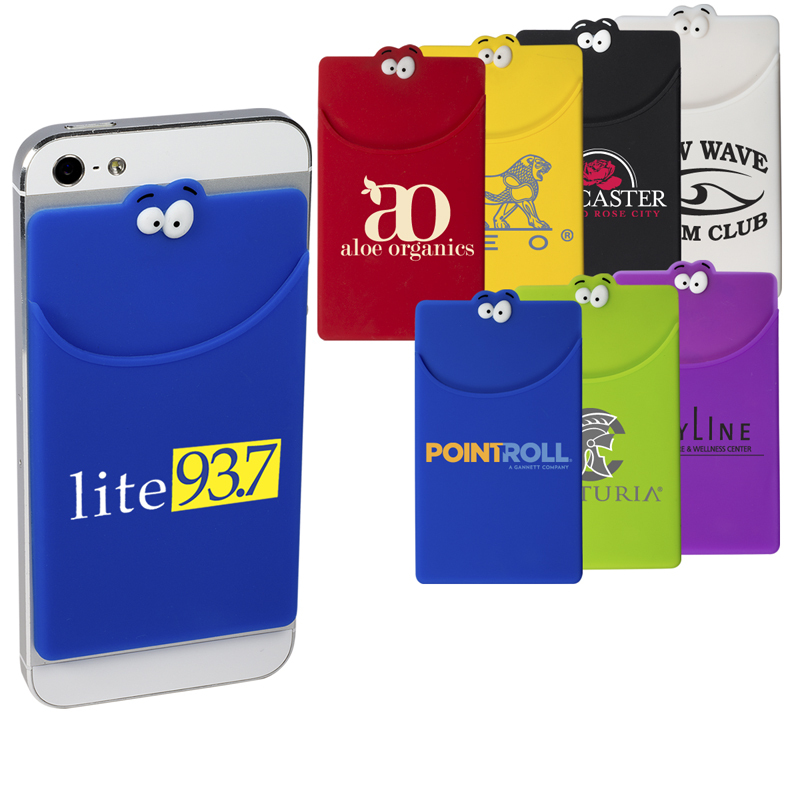 Silicone pocket with Goofy Group™ eyes and removable adhesive Silicone backing for cell phone or mobile device. Adhesive sticks to the back of your mobile phone. Pocket doubles as a wallet. Holds credit cards, driver's license, business cards, stylus, coins or other small personal items.